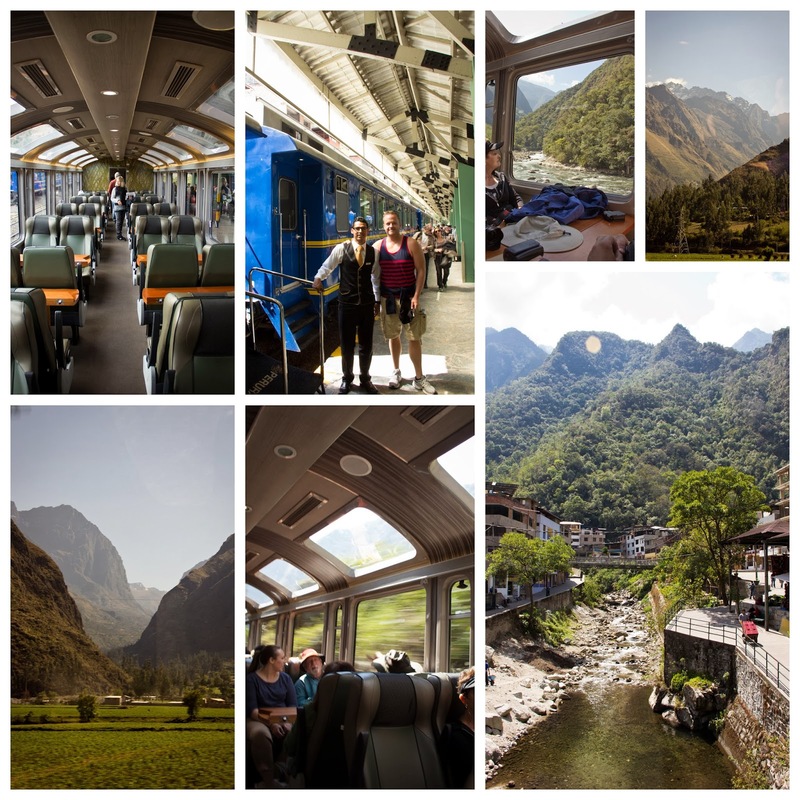 The ride to Machu Picchu was quite spectacular! The canyon was deep with tall mountains on both sides. We also were able to catch glimpses of the snow-capped Andes mountain range and the Urubamba River which we followed. During the ride our car attendants served us meals since we on the train for about 4 hours. Once we reached the town at the bottom of the mountain by Machu Picchu we got out and hopped on a bus that then went through a bunch of switch backs up dirt road until we reached Machu Picchu. What surprised me most was that at the top there was a hotel and two restaurants. Granted the hotel was not large but still it was surprising. Our guides took us on a tour the ruins pointing out lots of interesting facts. Then it was time to get some lunch. We opted for the cafe over the buffet. I bought a Machu Picchu burger combo for only $18 USD. The big fountain Diet Coke with ice was so worth it! After lunch we were on our own for a few hours to explore. 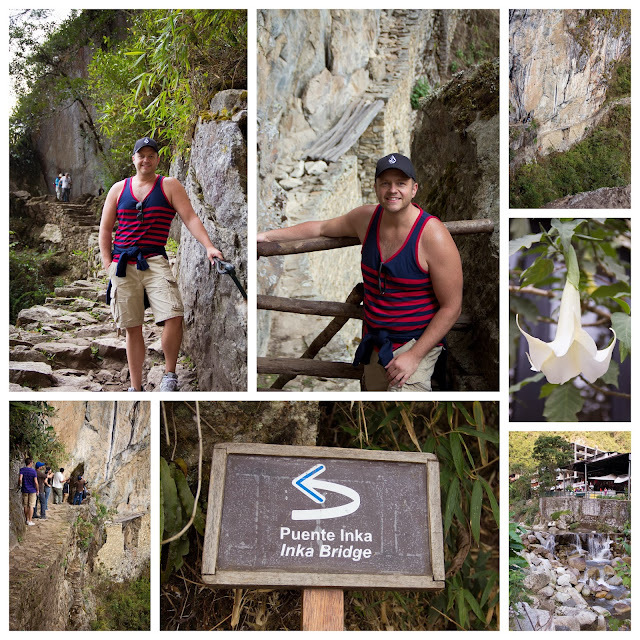 Ty, Bryant, and I joined our new-found friends, Alan and Melissa for a hike around Machu Picchu to the Inka Bridge. It wasn't a very long hike but the drop off along the trail was crazy. There wasn't any railing or anything. We signed in on a book saying that we were going on the hike. We heard that if you weren't back in a certain time that they would come looking for you. We couldn't actually get to the real "bridge" because they block off the trail. You can see it in the photos below. The best time to there was after the place started to clear out. We were towards the first of the groups to get up there and towards the last to get out. It was much easier to get photos without people in it. What could have made this better? Just having time to do more hiking. I would have like to hike over to the Sun Gate or even better to hike up Huayna Picchu, the mountain across from Machu Picchu with more ruins on it. Later in the afternoon had to hop on the bus back down the mountain where we had a little time for shopping before we boarded the train and headed back to Cusco. On the train ride back we were again fed and provided with a "fashion show" trying to sell us alpaca goods. The part of our group who did the 4 day hike of the Inka trail to Machu Picchu joined us. I kind of wished that I had known that option before we went but actually I'm glad that I didn't do the hike because I would have missed out on so much of the other sights. After the train we hopped back on our bus and headed back to the hotel. What a day! 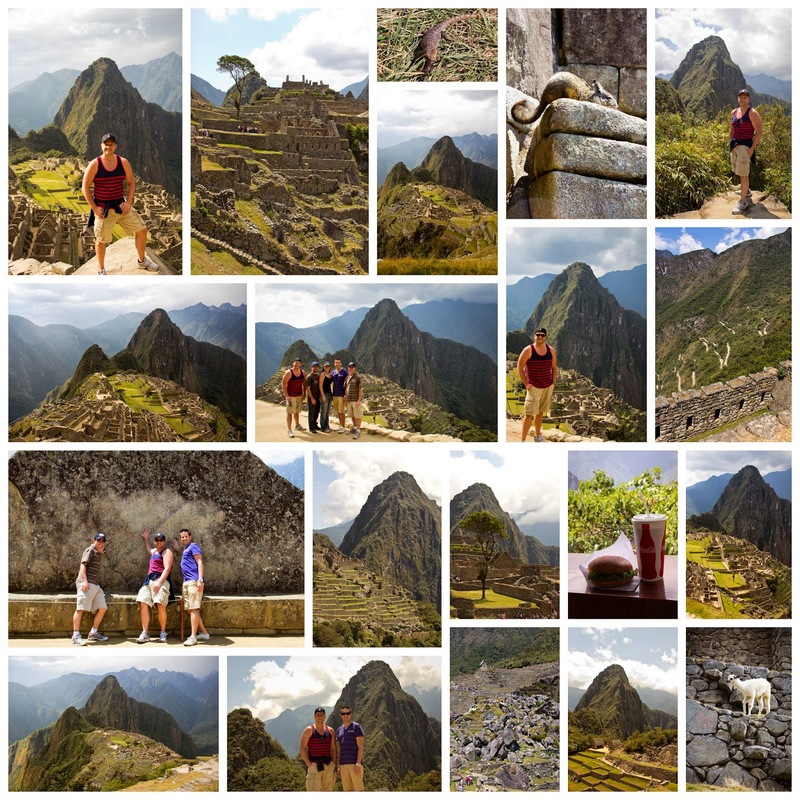 I do have to say that Machu Picchu is much more spectacular than you can get from photos. I kept on taking photos in an attempt to show you better what its like but I still think I missed capturing it all.